Danny Lee Burton was born June 21, 1938 in Indianapolis, Indiana. He graduated from Shortridge High School in 1957, and served in the United States Army and Army Reserve from 1957-1962. After active duty Army service he attended Indiana University and Cincinnati Bible College, graduating in 1960. Following graduation, Burton became a real estate broker and insurance agent. He served as a member of the Indiana House of Representatives from 1967-1968 and 1977-1980 and the Indiana State Senate from 1969-1970 and 1981-1982. In 1970, Burton was an unsuccessful candidate for the United States Congress, losing to Democratic incumbent Andy Jacobs. The next term, he ran another unsuccessful campaign, losing in the Republican primary to George Hudnut. Burton was elected to represent Indiana’s 6th District in 1982, defeating Democrat George Grabianowski. He served the 6th District, representing a large portion of eastern Indiana, including Muncie, Richmond, and a few suburbs of Indianapolis until 2002 when the state was redistricted. He would then serve the 5th District, representing the eastern and northern suburbs of Indianapolis, including Marion, Carmel, Shelbyville, Noblesville, and parts of Kokomo until his retirement in 2012. 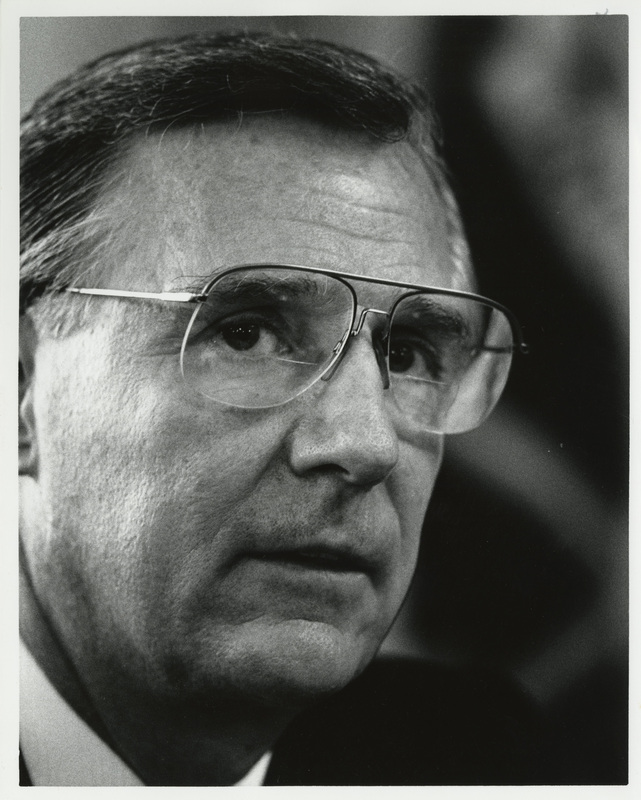 Throughout his 30-year tenure in the U.S. House of Representatives, Burton served on numerous committees, including Committee on Government Reform and Oversight, Committee on Foreign Affairs, and Committee on Veterans Affairs. He served as Chairman of the Committee on Government Reform and Oversight from 1997-2002 (105th-107th Congresses). Most notably, Burton fought tirelessly for autism awareness – to increase research into the causes and new treatments. During his tenure as Chairman of the Committee on Government Reform and Oversight and as Chairman of the Subcommittee on Human Rights and Wellness, he held numerous hearings on the topic, including the use of mercury and thimerosal in childhood vaccines. In the realm of foreign policy, Burton worked to strengthen the Cuban embargo, co-sponsoring the Cuban Liberty and Democratic Solidarity (Libertad) Act of 1996 (Helms-Burton Act), which extended the embargo to foreign companies trading with Cuba. From 2003-2007, he also worked with Republicans and Democrats to pass Johanna’s Law, a bill designed to improve early detection of ovarian and other gynecological cancers. Burton did not seek re-election in 2012 and retired from Congress on January 3, 2013. He was succeeded by Susan Brooks, the former Senior Vice President and General Counsel for Ivy Tech Community College. Burton served on the House Government Reform Committee from 1995-2012 serving as chairman from 1997-2002 and chairman of the Subcommittee on Human Rights and Wellness from 2003-2004. He also served on the Foreign Affairs and International Relations Committees from 1985-2012, serving as chairman of the Subcommittee on Europe and Eurasia from 2011-2012. He served on the Veterans Affairs Committee from 1983-1994 and 2005-2006 and the Post Office and Civil Service Committee from 1985-1994. 123 cartons and 6.97 gigabytes of electronic records. Prior arrangement is required for use of the Burton Papers because materials must be retrieved from offsite storage. Contact Sara Stefani, Project Archivist, samastef@indiana.edu, 812-855-1538. A detailed finding aid of the collection is available by clicking here. Burton, Dan. “The House and Foreign Affairs: Making the World Safe for Tyranny?” In A House of Ill Repute, edited by Dan Renberg, 76-84. Princeton, N.J.: Princeton University Press, 1987.